Building on our heritage of over 15 years in innovation and design, the Incase ICON Collection is the latest evolution in our mission to create tech-optimized carrying solutions designed to meet the demands of like-minded creative around the globe. The Incase ICON Pack is the cornerstone product in this collection. It's simply the best backpack we've ever made. With dedicated compartments for your MacBook, iPad and iPhone, along with intelligent organization for extra accessories and other essentials, this tech-optimized pack is designed to handle any situation. 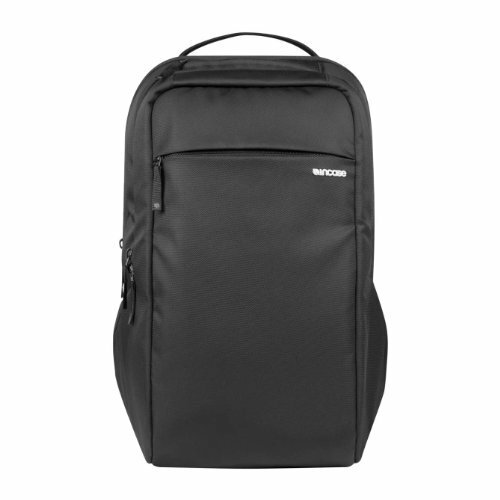 Airflow channels engineered into the compression molded back panel and padded shoulder straps with multiple adjustment points provide a customizable fit and stable support while on the move with your gear. If you have any questions about this product by Incase, contact us by completing and submitting the form below. If you are looking for a specif part number, please include it with your message.